CMD /C Dir /a:ld /s C:\ >"%Userprofile%\Desktop\Junctions.txt"
It should take a while. Once the MSDOS window disappears, a report should be written on your desktop, labeled Junctions.txt. Please post the contents of this report on your reply. Another possible reason is the locale. Check your Regional and language settings in the Control Panel. Under the Administrative tab, check the system locale. My current language for the locale has been Japanese, I had it changed around the time I first got this computer. As you can see, if I select My Documents, the junction will redirect to C:\Users\Jose\Documents. That is not happening in your system. Type Exit to return to windows. Boot in Safe Mode (Tap on F8 during startup to reach the Advanced menu, select Safe Mode). Logon into the Administrator account. Go to the Control Panel->Users Accounts. Create a new profile with Administrative rights. Once done, boot into Normal Mode and logon into the new profile. See if you can copy a file into your documents, and attempt to open it. No, doesn't seem I can. Pasting a folder with some files in it on the desktop works but when I try it in the documents folder of my "Donkey Kong" account nothing happens (Mouse seems like its loading for a second then nothing after). Checking the folders under my documents show 0 bytes and under "Properties">"Security", it says "The requested information is either unavailable or can't be displayed"
I also noticed that under the directory of my account "Donkey Kong", where the folders "AppData"/"Desktop"/"Documents" are, these folders icons have the same little yellow lock that appeared in the previous screen shot I showed of the web browser, should this be like that? For 64bit systems, Please download SystemLook from the link below and save it to your Desktop. 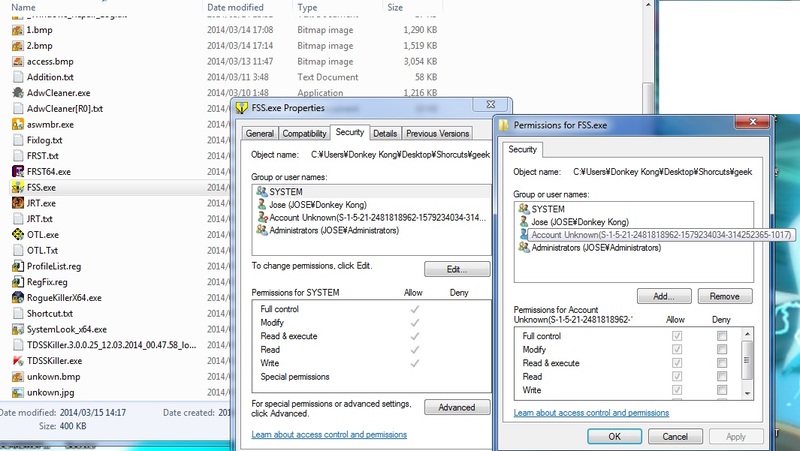 Double-click SystemLook.exe (or SystemLook_x64.exe) to run the application. Once saved, click on the FolderReg.bat file and post the contents of the FolderReg.txt it will produce on your desktop. I also noticed that every new download (like the ones from previous posts) and new folders/text doc. I make have a "Account Unkown(S-1-5-21-XXXXXXXX" under Properties>Security Tab, which show that yellow lock I mentioned in previous post. There are signs of registry cleaners. If you have perform a registry cleaning, did you save what was removed? The steps that I am about to suggest involve modifying the registry. Modifying the registry can be dangerous. As a precaution, we will make a backup of the registry first. Modification of the registry can be EXTREMELY dangerous if you do not know exactly what you are doing. Please follow the steps that are listed below EXACTLY. If you cannot preform some of these steps, or if you have ANY questions please ask BEFORE proceeding. Save and extract its contents to the desktop. 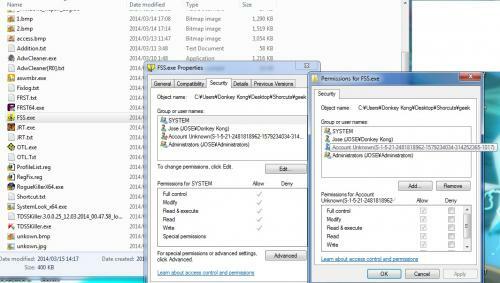 It is a folder containing a Registry Entries file, Regfix.reg . Once extracted, open the folder and double click on the Regfix.reg file and select Yes when prompted to merge it into the registry. Save it in the same location FRST is saved. Run FRST and click on the Fix button and wait. 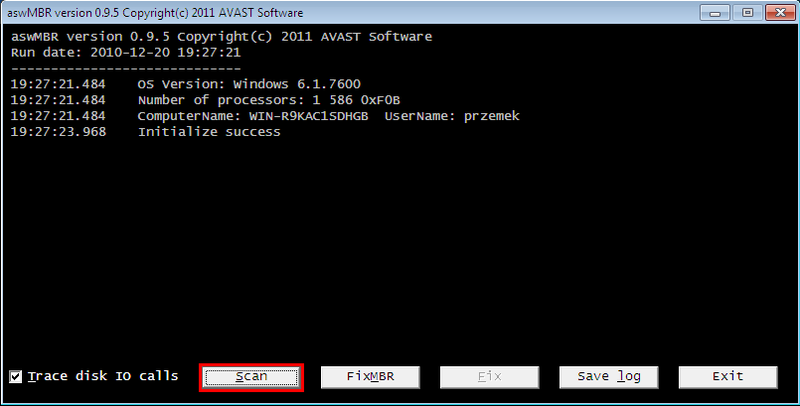 The tool will make a log in the same location FRST is saved, (Fixlog.txt). Please post it to your reply. Re-scan with FRST. Post the new FRST.txt log. Faulting module name: sysmain.dll, version: 6.1.7601.17514, time stamp: 0x4ce7c9db"
Schedule CHKDSK to run on the following restart. Press Exit to return to Windows and restart the computer. Follow the prompts. Press Exit to return to Windows and let me know the outcome. The problem of not being able to access my documents is still there and the unknown account as well. Disk problem was fixed. After SFC /ScanNow ended it said "Windows resource protection did not find any integrity violations"
Please take a screenshot of that window reflecting the unknown account for me. You can do this by pressing the PrintScreen key. Then Go up to File > Save As. Click the drop-down box to change the "Save As Type" to "JPEG", name it what you want, and save it on the desktop. Then click Add Reply in this topic. Locate the file you just saved, click on it, then click Open. Edited by Jcab, 18 March 2014 - 02:48 AM. Is that on every file? It could be a temp profile. Press the Windows Key+R. Copy and paste the following on the Run line and click OK.
CMD /c whoami /all >"%Userprofile%\desktop\whoami.txt"
Post the contents of the whoami.txt on your desktop.